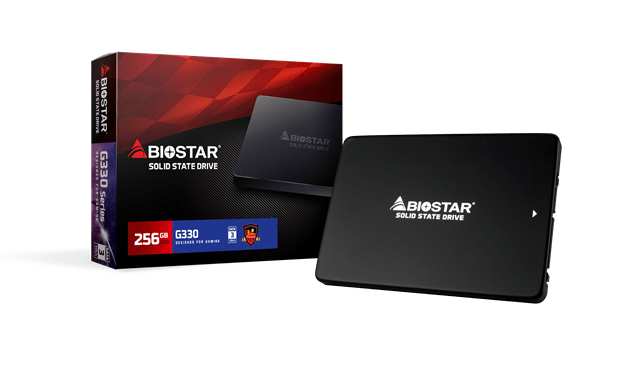 April 28th, 2017, Taipei, Taiwan – BIOSTAR is proud to announce its latest addition to its storage solution with the announcement of the BIOSTAR G330 Series solid-state drive. As a step-up from the initial BIOSTAR G300, the new BIOSTAR G330 Series SSD promises 10% faster performance and features unique BIOSTAR design for both convenience and performance. BIOSTAR’s G330 Series SSD utilises Micron 3D TLC with DRAM cache and comes with capacities up to 512GB worth of storage. The BIOSTAR G330 Series SSD is designed for upgraders and power users looking to upgrade their current system with a faster storage solution for better response times from their application and battery life on their mobile systems. March 17th, 2017, Taipei, Taiwan – BIOSTAR is thrilled to announce its latest addition to its great line-up of products with its newest offering from its storage family of products with the new BIOSTAR M200 Series solid-state drives. 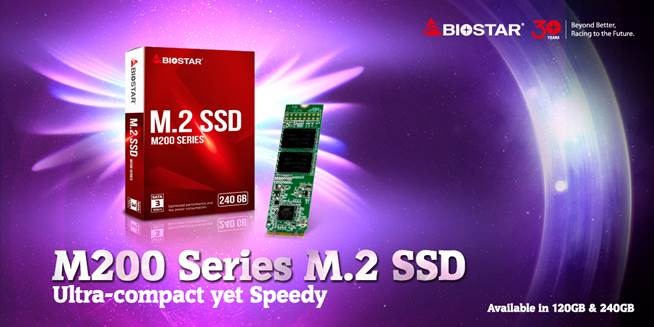 Designed for high-performance, low-profile applications, the BIOSTAR M200 Series SSD is intended for systems that require high-speed storage in a low-profile form factor like notebooks, SFF PCs and HTPCs. Available in 120GB and 240GB capacity, the BIOSTAR M200 SSD is perfect for those looking to upgrade their system with a new SSD or speed-up their mobile device for better performance and battery life.